Depression, The Muse and Soul Loss What do they have in common? 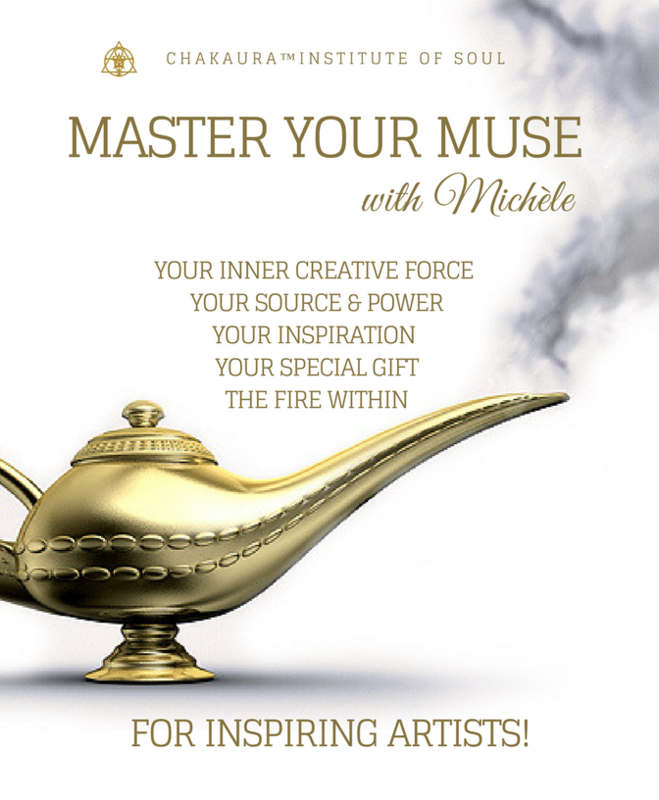 Michèle, an artist herself, discovered early on that an artist is born with a very powerful creative energy she calls The Muse. She also discovered that few in our western society understand the special needs of this exciting and creative energy. Her life experiences brought to her special knowledge & Skills on how a person can bring their Muse under their control. 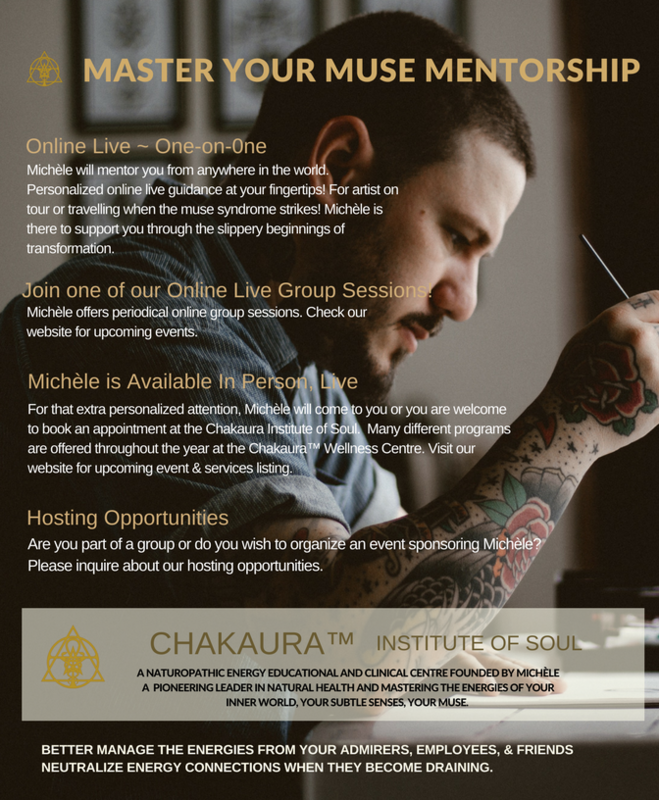 This latest program is what she now shares and mentors with to those artist that are guided to her for support and help. Do you suffer highs & lows? Are you sensitive to the energies of the crowd or of fans? Are you tending to numb your sensitivities with addictive behaviors? 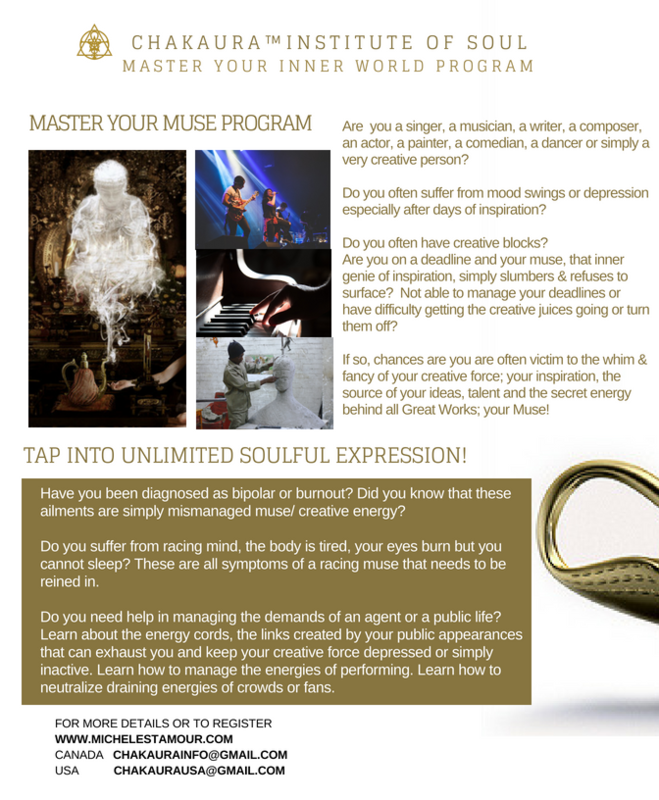 Are you not ableto turn your muse on when you need to be inspired or turn it off when you need to rest? No need to run anymore! 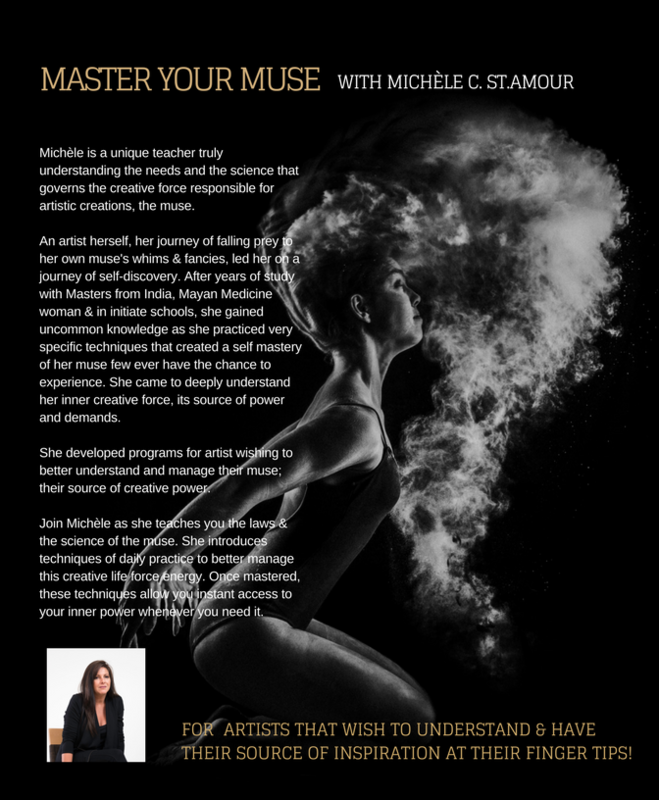 Michèle has the tools and insights you need to master your most powerful self -Your Muse. Fees vary depending on specific needs.